Photos are a great way for us to commemorate the events in our lives. Pictures are a part of any celebration, and we’re always looking for a good way to spice them up. 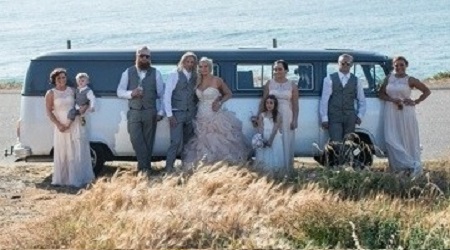 One way is to use kombi van hire to add that classic 70s touch to a photo background. Kombi van hire is an excellent choice because these vehicles have a few things going for them. First, the design is very photogenic. Something about these cars makes them noticeable and distinctive even as background pieces. At the same time, they don’t detract from the people taking pictures. The second reason is that people love the VW bus. Whether they go for the classic design or something stretched out, and more modern, people like having their pictures taken with these things. They are sure to be a crowd-pleaser during a party. If you decide to get kombi van hire for photo ops during a party, we can help you put the two together. One of our unique services is the use of a VW bus that doubles as a photo booth. What we’ve done is take a standard VW bus and rig a photo booth inside it, giving you an opportunity to use the distinctive interior for your pictures. Our services are available for any number of occasions and events, from weddings to school parties to corporate get-togethers. Don’t hesitate to get kombi van hire from us, so you can make some special memories and take excellent pictures.